Today is Dec 18, 2015 and I am happy to say the summer has finally arrived to Melbourne, as well as school holidays (no more lunch-boxes!!!). It is a perfect time to spend on a beach, swimming and relaxing. In case if you are not a big fan of water activities (as I am), there are lots of places in Melbourne to escape the heat and enjoy warm weather. 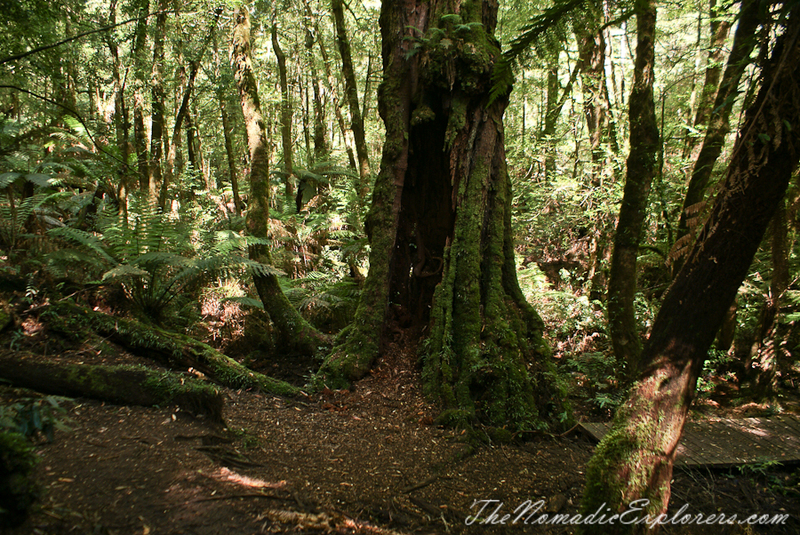 Today I am going to tell you about some of these places with no crowds, no sand but some water and tall trees. 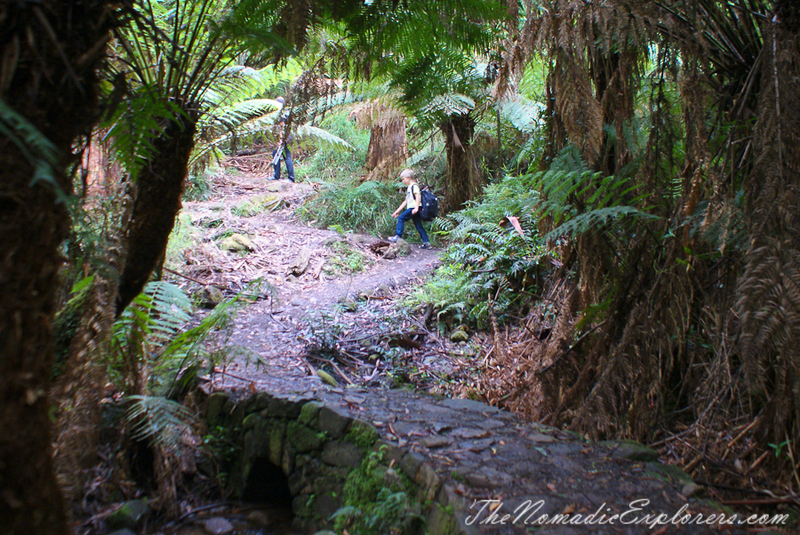 It is about one of our trips to Warburton - one of the most picturesque places in the Yarra Valley. As you may guess, it is a retro post again, but I thought that it is a perfect time to get back in time. As you might know, last year summer holidays we spent in Melbourne. 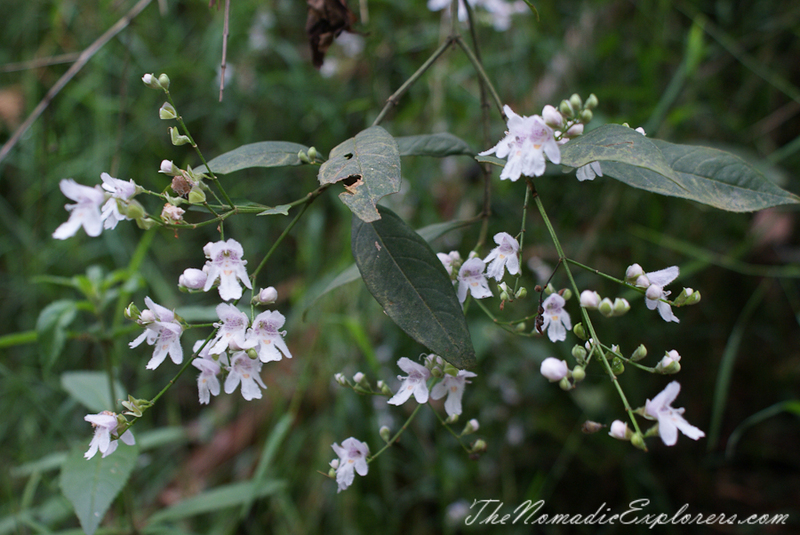 One of our day trips was trip to beautiful Blue Lotus Water Gardens (it is time to visit them again!!!). 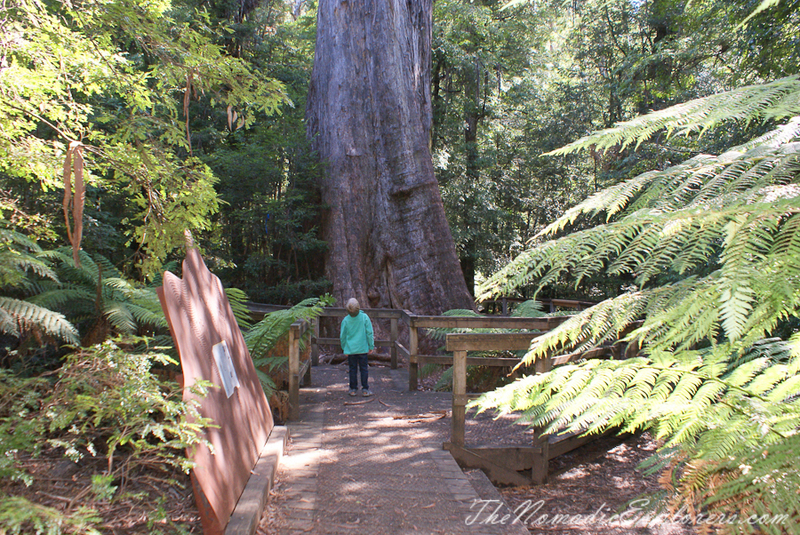 After the gardens we continued our trip to Warburton to walk to the La La Falls and find a giant Ada Tree. 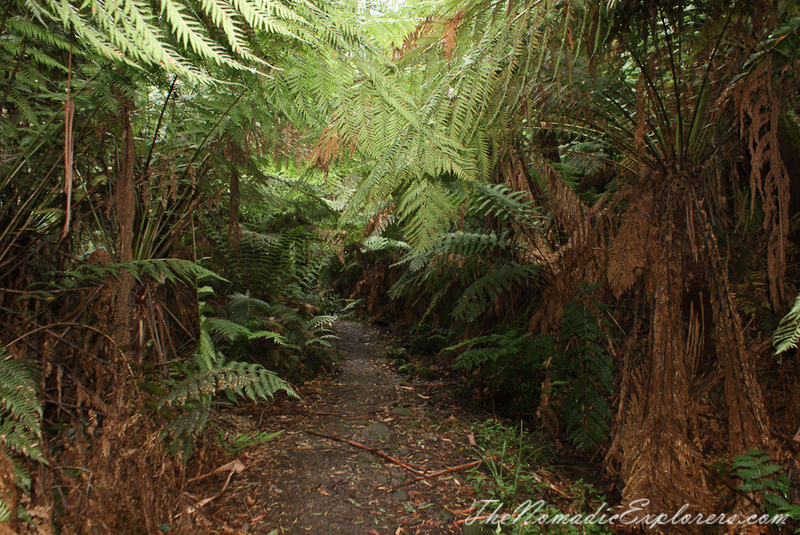 For a nice short walk La La Falls would have to be up there with the best in Australia, for spectacular scenery of temperate rain forest. 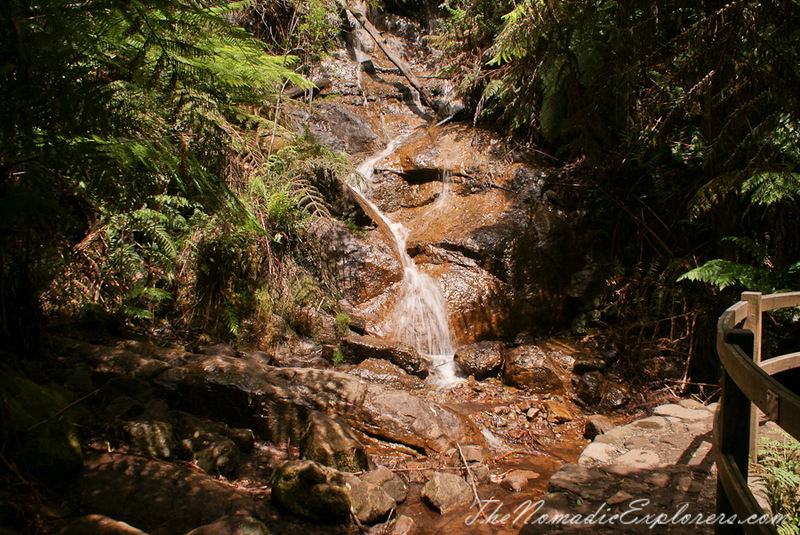 The falls located just 5-10 min drive from Warburton. They are well signposted on the roads leading to the car park so there is no need to worry about getting lost. 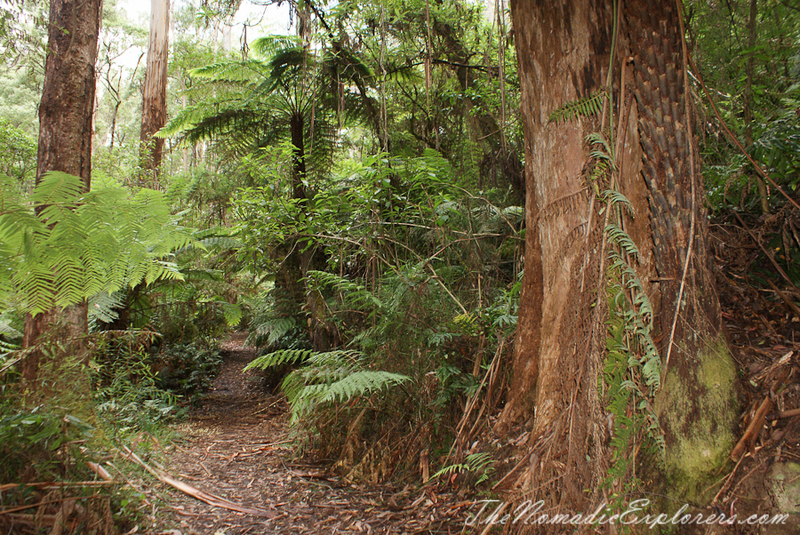 The 3.2km return walk to the falls is quite easy and is family friendly for people that have average fitness and like a quick bush walk. The track has recently been upgraded and the new stone walk bridge is a nice piece of work about half way along the track. 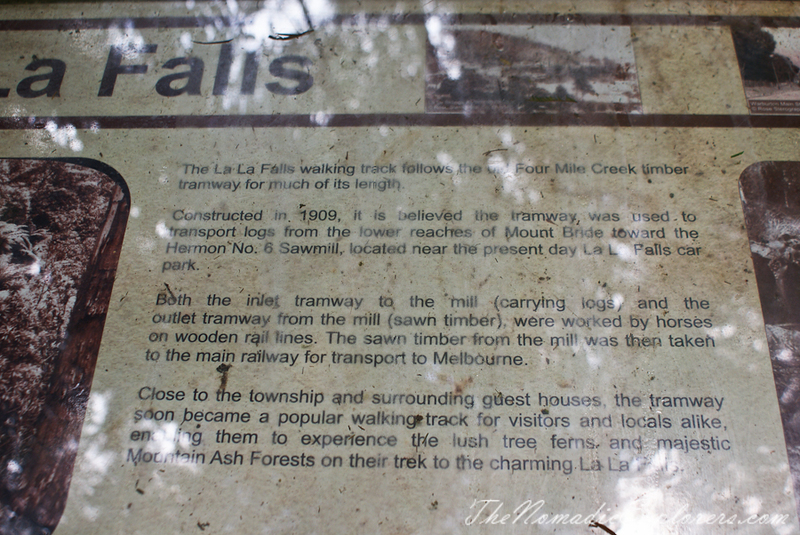 There are plenty of information signs on the history of the area and the discovery of La La Falls. 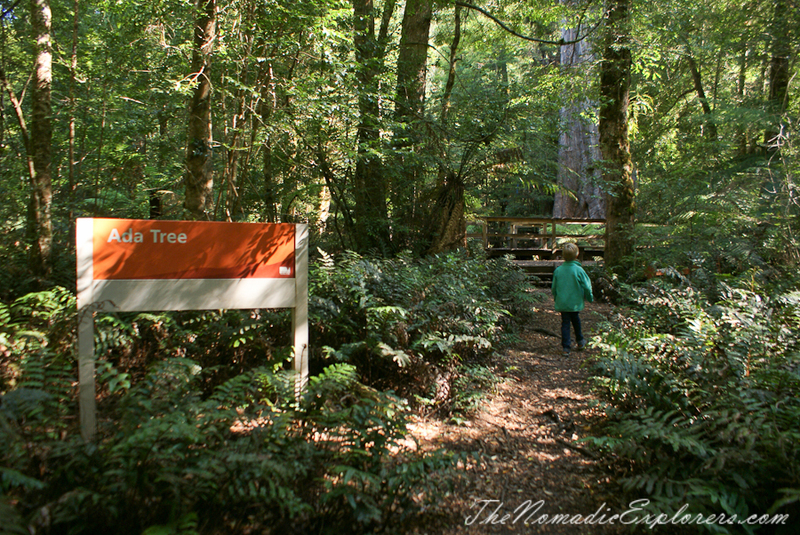 Another great location to explore in Warburton area is the Ada Tree. 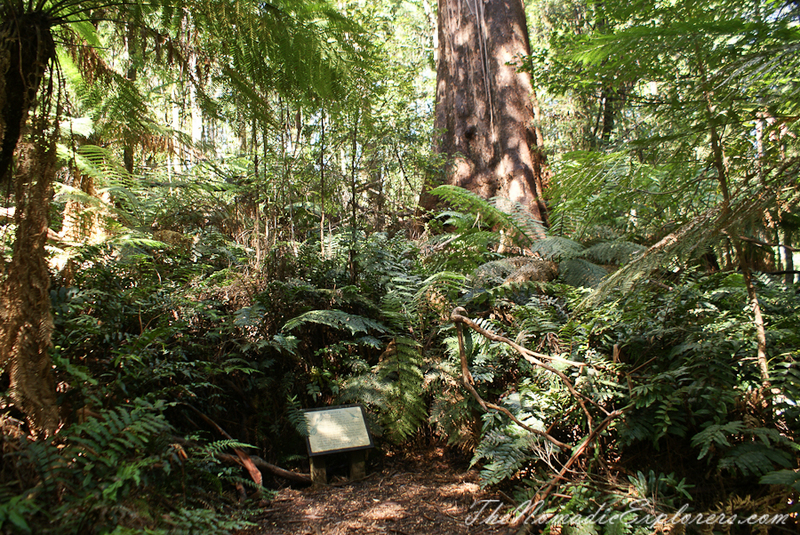 Over 300 years old, the Ada Tree is considered to be one of the largest known flowering trees in the world. 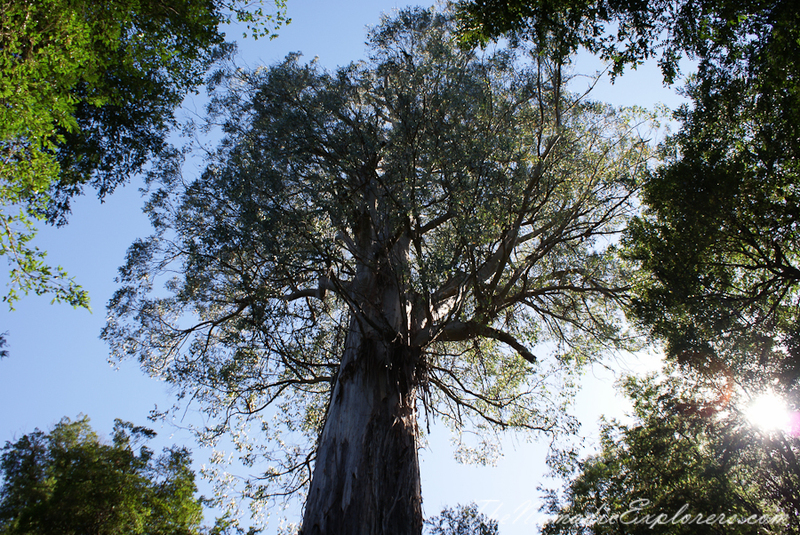 It stands at about 76 m tall with a circumference of 15 m measured at 1.5 m above ground level. 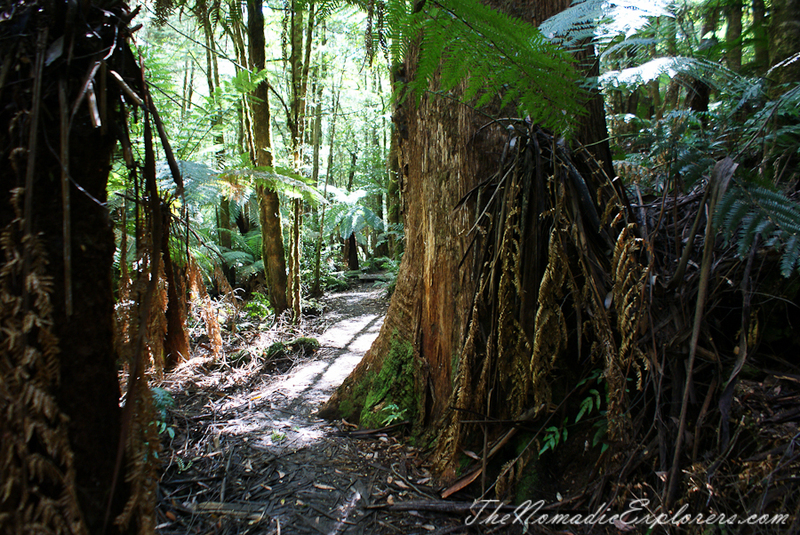 The Myrtle Rainforest walk is enchanting and educational with many points of interest displayed along an easy walk of 3.2 km taking approximately 1.5 hours to return. 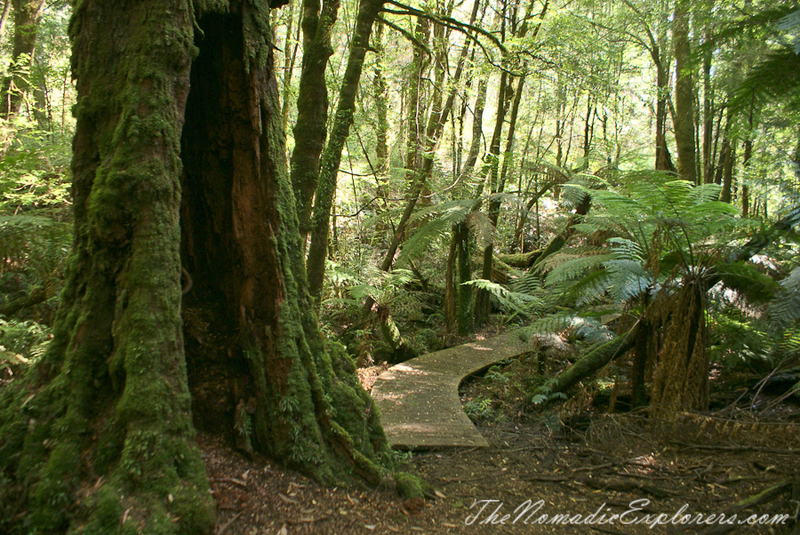 We walked through a very thick Myrtle Beech rainforest and loved being in the shades of green of the leaves and the moss. The light that filters through is very soft. You almost feel it got dark all of the sudden. There is number of evidences about logging activity happened in the past in this area. 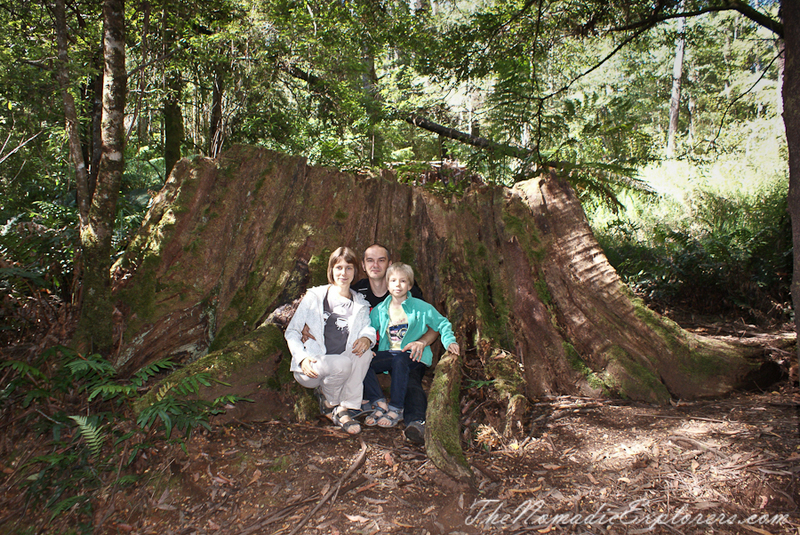 Could you imaging how tall this tree was? The Ada Tree itself is wide and tall indeed. 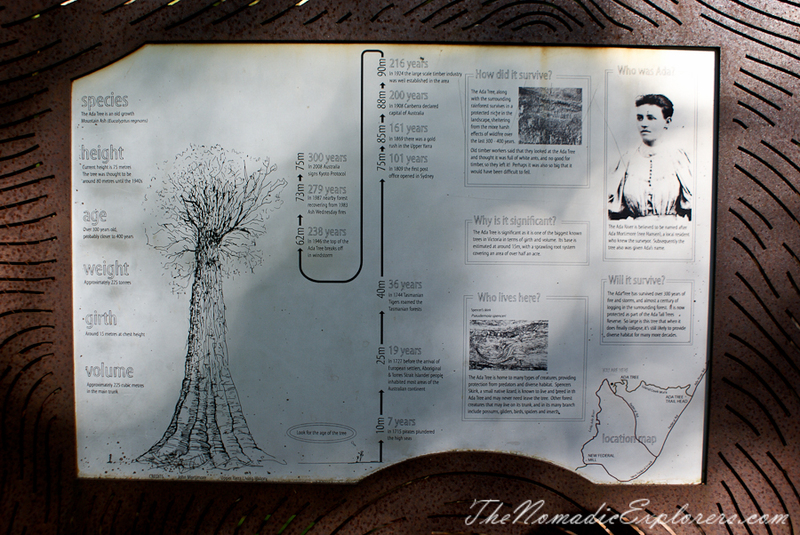 A good information sign is located nearby telling more about history of this area. 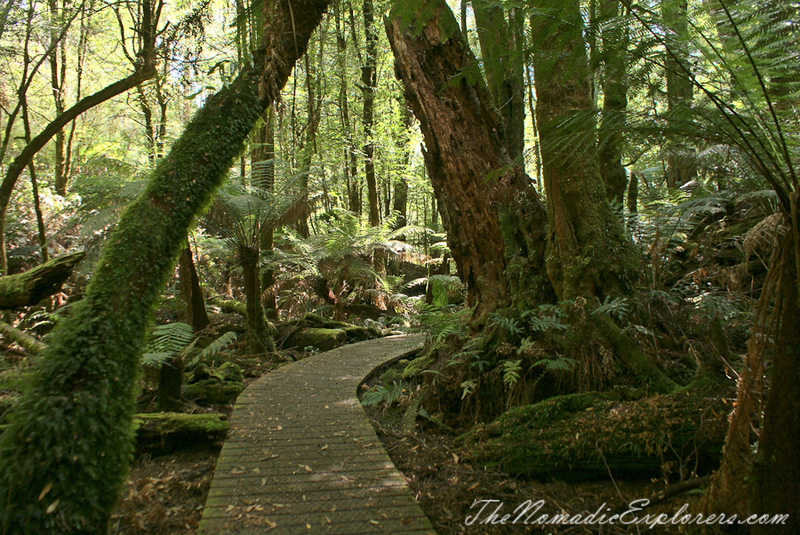 This walk reminded us similar walk in north-west part of Tasmania when we walked to Tarkine Forest. So peaceful and quiet, no one was there except us…. If you have time, allow an extra 45 minutes to visit the New Federal Mill - continue 1.4km along the walking track at the Ada Tree. As for us, we went back to the car as it was becoming dark.